Keep your valuables safe with this easy-to-use waterproof bag. Members earn 24 Points on this purchase! A must-have carrier when spending time around the water, the totally waterproof COMPACT DRY BAG is perfect for stowing keys, cell phones, binoculars, cameras or documents. Made from 500D heavy-duty PVC (Tarpaulin) fabric to stand up to years of rugged use, the COMPACT DRY BAG features a roll-top closure with a security buckle that provides quick and easy access to the bag’s contents. 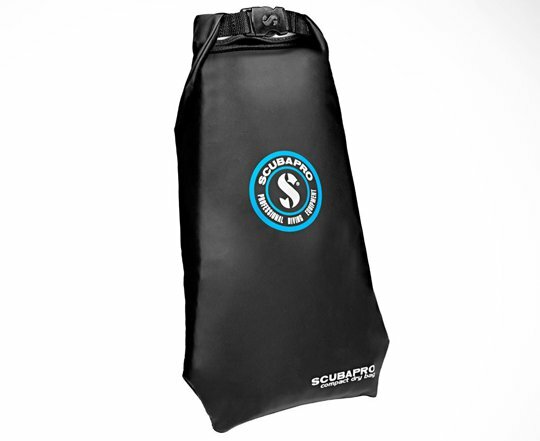 Made from 500D heavy-duty PVC (Tarpaulin) fabric to stand up to years of rugged use. Stitched/taped construction ensures water tightness for total confidence in the protection of your valuables. Roll-top closure provides quick and easy access to the bag’s contents. Dimensions: 19.3×10.3x.9in/49x26x2cm. Weight: .5lb/210g. Volume: .8gal/3L.